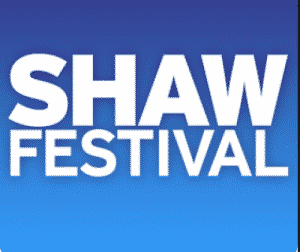 The Shaw Festival Theatre is a famous Niagara institution that offers world-class theatre in the beautiful and historic town of Niagara-on-the-Lake. The 2017 season kicks off on April 5th, so if you’re looking to have a unique cultural experience while visiting the region, make sure to book your tickets in advance for one of the theatre’s many upcoming plays. Some of the highlights of the upcoming season include Me and My Girl opening on April 5th, which has been updated and revised by Stephen Fry, George Bernard Shaw’s Saint Joan opening on May 3rd, Dracula opening on July 8th, Wilde Tales about four Oscar Wilde stories opening on June 8th, and many more. Since 1962, people from all over the world have come to Niagara-on-the-Lake to take in the amazing theatre offered at the Shaw Festival and connect with the plays of George Bernard Shaw and his contemporaries in modern and exciting productions. If you’re planning a spring or summer getaway to Niagara Falls and enjoy taking in remarkable theatre, then this is the event for you. Stay in a beautiful Fallsview room in direct view of the thundering Niagara Falls and then venture to Niagara-on-the-Lake to visit award-winning wineries, the Shaw Festival Theatre, Fort George Historic Site, and many more beautiful destinations for a perfect day in Niagara.